Next to the mortgage, feeding the family seems to be the next largest expense in the budget. It’s so easy to go in for a gallon of milk and come out with a hundred dollars less in your pocket. Holiday items, fresh flowers, and Milano cookies; those are my weaknesses at the grocery store. 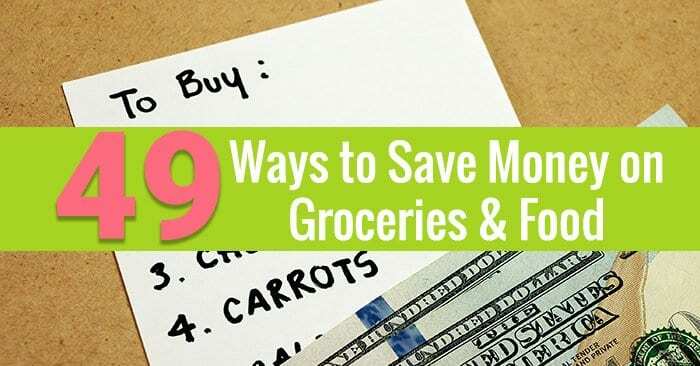 On average my grocery bill is about $600-700 a month! This is crazy for a family of 2.5. This also doesn’t include eating out, which is another huge expense. Have you added up your household costs of dining out and groceries? It will blow your mind to see how much you actually spend! 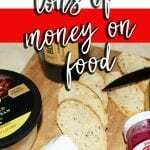 To help get the household grocery and food budget under control, I have been working on putting together meal planning printables, dinner ideas, and ways to cut costs. Let’s trim the fat off of our food budget! This post contains affiliate links for more information read my disclosure policy. 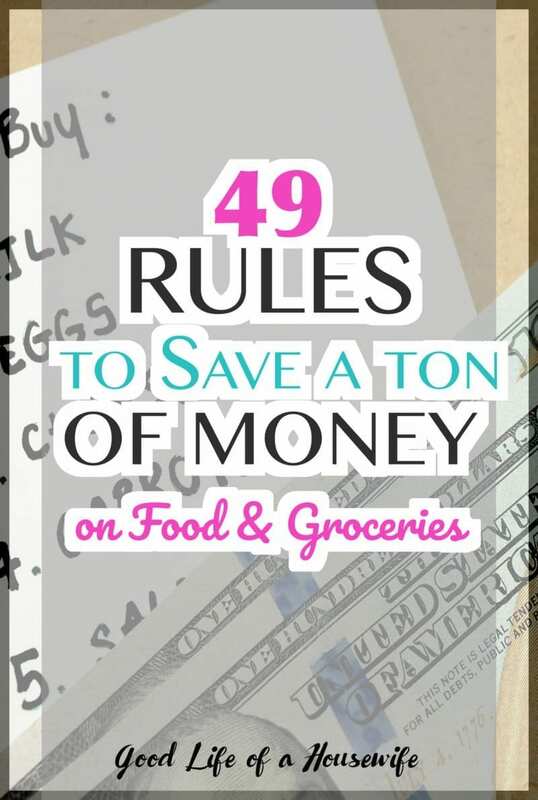 Use these 49 tips and tricks as rules to help you save on your food budget! 1. Get A Brita Filter Instead of Water Bottles. According to Brita, one Brita water filter can replace 300 standard, 16.9-ounce plastic water bottles. A three pack of filters costs around $15 dollars. That’s close to 900 bottles of water. On sale, a 32 pack of water goes for 2.99 at my local Kroger. To buy 28 cases of water (896 bottles), it would cost about $83.00. That’s about a $68.00 savings. 2. Cook Dinner at Home: Eating out can easily set you back $8-20 dollars a person. Cook dinner at home to cut that cost in half. 3. Buy Loss Leaders: Loss leaders are products that are sold at a low cost, even costing the store money, as a way to get you in the door. Stock up on these items when they are at bottom prices. 4. Shop Your Grocery Ad: Grocery ads will have the best prices to get you in the door. Build meals around meats and produce that are on sale. Buy extras to freeze. 5. Use Store Brand: Store brands are almost always less expensive then name brands. 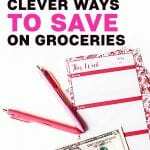 Shopping store brands is an easy way to save, letting small dollar amounts add up. 6. Freeze Your Own Meals: Make freezer friendly meals that you can thaw and through right into the slower cooker. 7. Shop at Multiple Stores: Don’t be loyal to just one store. 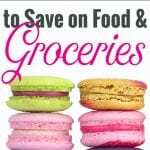 Shop multiple stores to get the best prices on the food and products you use the most. 8. Sign-up for Ibotta: Rebate apps like, Ibotta, allow you to get cashback for items you are already purchasing. For a few minutes of your time you can get a few bucks for your shopping order. Let your account accumulate and then cash it out to get free groceries. If you sign up for Ibotta you can get a $10.00 bonus. 9. Take Advantage of Special Offers: Holidays are a great time to stock up on great deals and fill the pantry. Christmas & Thanksgiving offer great prices on baking goods and canned goods. Memorial Day and Fourth of July have fantastic deals on condiments, and BBQ food. 10. Go in With Cash: You can’t spend what you don’t have. If you have a hard time with sticking to a budget or impulse buying, go in with cash. Cash forces hard limits on us. It means tallying your cart as you go, or putting stuff back at the register. 11. Use A Store Card for Perks: Some stores offer incentives like extra cash back or bonus points towards gas. Sticking to a budget and using a store card can get you lots of perks. 12. Use Store Aps to Download Digital Coupons: Most stores have apps where you can download digital coupons and store coupons. This is an easy way to save money on things you’re already buying. An added bonus, you don’t have to worry about leaving your coupons at home! 13. Create A Monthly Meal Plan: Make a month of meals to rotate through. Having meals planned ahead of time prevents impulsive dining out. Sign up and get my free printables! 14. Create A Weekly Plan: Use the monthly meal plan to fill in each week. Include breakfasts and lunch plans as well. 16. 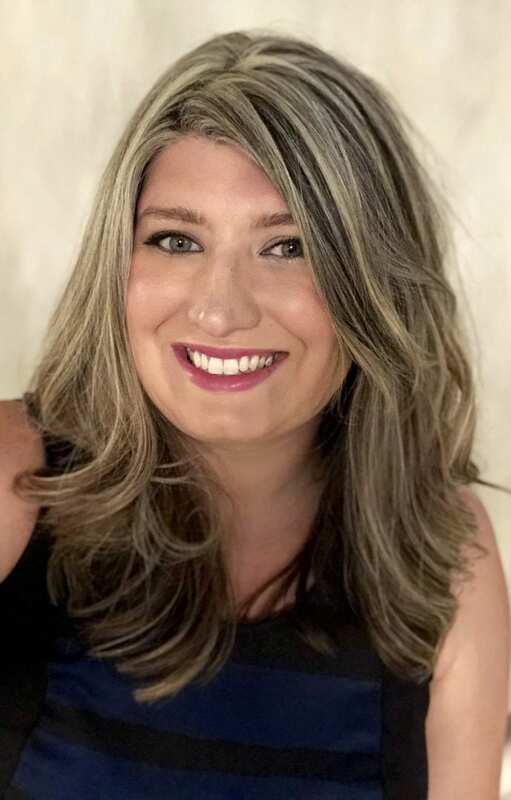 Shop Alone: Leave the kids at home or with a sitter. I never realized how many toys were scattered throughout the grocery store until I had kids. Shopping alone allows you to be more mission oriented, sticking to a list and budget. 17. Never Shop Without a List: After planning your meals, use a list for your grocery shopping needs. Going through the store planning meals as you shop means wasted food, and wasted dollars. 18. Avoid Specialty Meals That Require Unique One-Time Ingredients: Once I made lettuce wraps. It cost me $17.00 to purchase all of the ingredients. At the time, I was not cooking often. All of the specialty ingredients expired before I used them again. 19. Fill Your Pantry with Items You Frequently Use: Stock up on items that rotate through your pantry often. I always pick up ranch and ketchup when it’s on sale because we clear through it so quickly. 20. Use Napkins Instead of Paper Towels: Paper towels are far more expensive then paper napkins. Pick-up a napkin holder and fill it with paper napkins to save on running through so much paper towel. 21. Make Items Yourself: Making items from scratch are cheaper then items prepared for you. This holds especially true when it comes to deli items, such as pasta salads, premade platters, etc. 22. Take Regular Inventory of What You Have: Clean out your pantry and take inventory of what you have. 23. Buy in Bulk: Wholesale stores like Costco and Sam’s Club offer big time savings for buying in bulk. Stores like Gordon’s Food allow you to buy in bulk and do not require a membership. 24. Start A Stockpile of Non-Perishables: Items like paper towel, laundry detergent, and shampoo can be expensive to pick-up on an as needed basis. Keep a small stockpile of items you pick up when the price is right. 25. Use What You Have on Hand: When planning meals shop your pantry and fridge to come up with meals you can make. 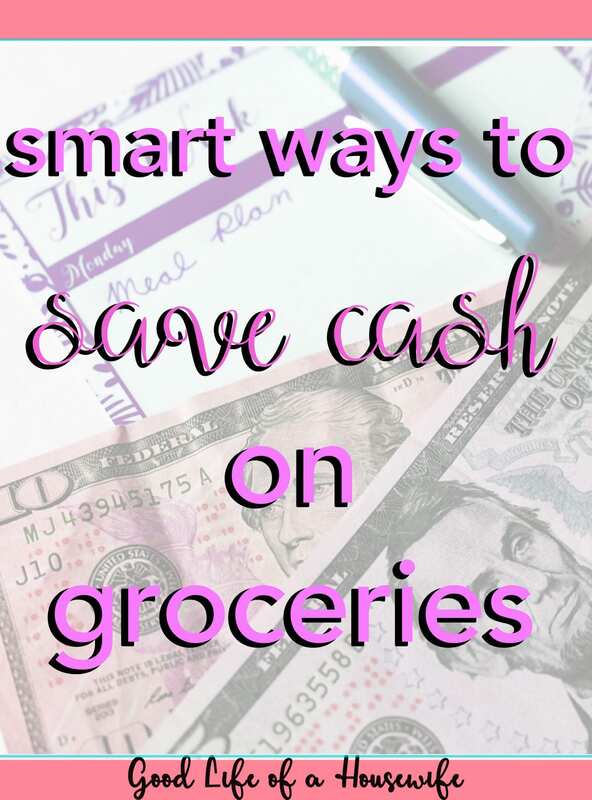 Doing so will cut down on your grocery bill and help clean out your pantry. 26. Make Your Own Mixes (Pancake, Cake, Etc. ): Making your own mixes can be done for pennies on the dollar. If stored in an air tight container, a lot of mixes can last up to six weeks. 27. Buy Produce that is in Season: I once bought three honey crisp apples that cost $9.00! I’m sure the cashier heard my jaw hit the floor. At that point, I was already committed to a recipe I was making, so I kept the apples. But I learned a lesson that day, buy produce that is in season. During apple season, I can get a bag for 5.99. 28. Grow Your Own Produce: Set up a garden to grow fresh tomatoes, herbs and peppers. Cook um’, can um’ or freeze um. There is nothing better than home grown veggies, except for almost free, home grown veggies. 29. Do Themed Dinner Nights: Themed dinner nights add some excitement and break up the monotony of eating at home. If you do Chinese food night once a week, it’s a way to try new meal without letting specialty ingredients go to waste. 30. Have Family Members Create a List of Their Favorite Foods: Food is a family affair. Have every family member make a list of their favorite foods. This will make meal planning a breeze and give everyone in the family something to look forward to. 31. Use Frozen Vegetables: Frozen vegetables can be picked up for a couple bucks. I find these are often less expensive then fresh vegetables, they are already prepped, and they work great in stews and slow cooker meals. 32. Shop the Clearance Sections: Grocery stores often have clearance sections trickled throughout the store: bakery, produce, meat, and damaged/boxed goods. Check out these sections to save some serious bucks. 33. Make Stews & Soups for Hearty, Budget Friendly Alternatives: Stews and soups are great budget friendly alternatives because they can be made up of inexpensive meats and lots of veggies. In addition, they freeze well and store easily, making them perfect for leftovers, and lunches. 34. Substitute Meat for Other Proteins One or Twice a Week: Meatless Monday is a perfect example of a themed night, and skipping on the meat. Try veggie lasagna, minestrone soup, or a pasta one pot wonder. These dishes can usually be made for a few dollars a person. 35. Have Brunch and Dinner on Lazy Weekends: Skip breakfast and go straight to brunch. Since you probably won’t be hungry until dinner, you effectively get to skip a meal. 36. Buy Meat from Farmer’s: Checkout local farm’s that offer discounts on purchasing large quantities of meat, such as half a cow. They will clean and package the meat for you and you can store it in your freezer until you’re ready to cook it. 37. Keep Freezer Friendly Premade Meals (Pizza, Lasagna, Etc. ): Keep a small stock of frozen pizzas, lasagnas, or stir-fry’s available. Some days life happens, and it’s nice to have something you can pop into the oven, or cook up, with no thawing and minimal prep work. 38. Avoid buying Convenience Items Like Birthday Bags and Tissue: These can be very over priced at grocery stores. Pick these items up at the dollar store to save some cash. 39. Get Produce from Local Farmer’s Markets: Pick up produce from the local farmer’s market for great prices, and fresh locally grown fruits and vegetables. 40. Clean and Prep Your Produce Right Away: If I wait to clean fruits and veggies for snacking, they usually go bad before I ever do this. Think of how quickly veggie trays at parties get picked over, vs. bags of veggies that just sit in your fridge. 41. Make Your Own Stock for Cooking: Make homemade stocks to freeze and use for soups and cooking. They’re fresh, better for you, and can be made from cooking scraps. 42. Bring Breakfast from Home: Skipping breakfast could mean gorging at lunch. Eat or bring breakfast items from home, it’s usually always more cost effective then picking something up along the way. 43. Create A Snack Drawer at Work: Keep a drawer with snacks at work, and in your car. A snack drawer will prevent vending machine trips and gas station stops, where items could cost you double. 44. Meal Planning: Planning meals saves you from buying groceries you don’t need. 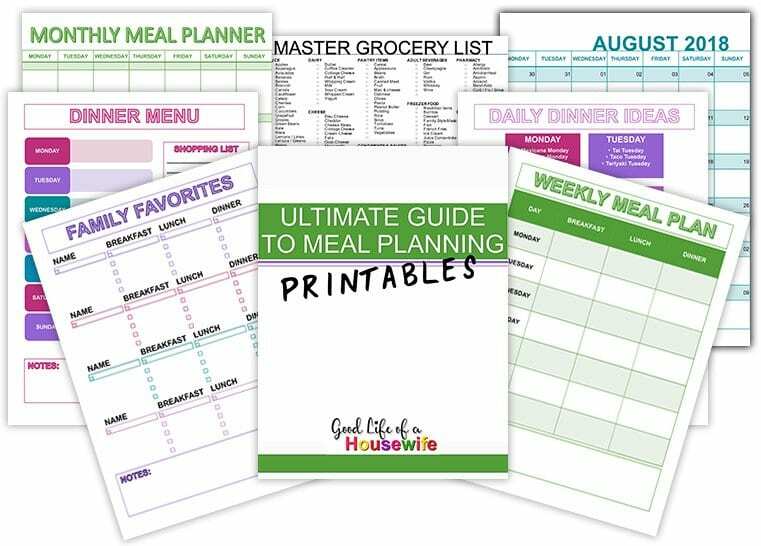 Here are meal planning printables I made that you can print to start meal planning for your family. 45. Use Coupons: Use coupons to score deals on products you are already purchasing. Printout coupons for items on your grocery list from coupons.com (see below). 46. Make Lunches at Home: When I was working, I would typically spend around $8.00 a day on lunch. This comes out to $2000 a year!! (5days a week x $8 a day x 50 weeks). Brown bagging a lunch is an easy way for the family to cut this bill in half. It’s much more cost effective to bring your own lunch. 47. Make Coffee at Home: If you spend $2.00 on coffee each day. That’s 10.00 a week or close to $500 over the work year. Now that’s for a plain coffee, if you are a fancy coffee drinker, say you spend $4 a drink, then you will be spending close to $1000 a year. 48. Invest in Reusable Plastic Containers: Purchase quality reusable containers for packing lunches. Look for something that is dishwasher and microwave safe. Doing this will save money on plastic bags, foil and saran wrap. 49. Invest in Quality Coffee Tumblers: In addition to making coffee at home (#4), purchase a quality coffee tumbler for the coffee drinkers in your home. It’s much easier to make coffee at home when you have the proper way to transport it. Disposable coffee cups are also very convenient, however, may set you back a few bucks over the long stretch. There are other plastic reusables that are quite a bit less expensive than Tupperware. But I catch your gist.